Some of the most powerful tragedies in the history of drama are those which focus on suffering women. 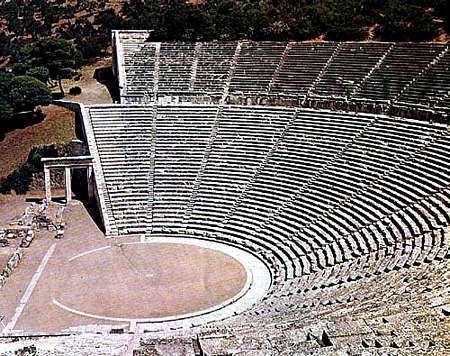 The ancient Greek theater provides many of the most enduring examples. This course focusses on a few key female protagonists in dramas mostly from Greek antiquity. Much class time will be spent watching and reading plays and discussing their depictions of tragic women. Week 1 [Sept 1 & 3] Introduction to Greek Tragedy. For the Midterm Evaluation, each student will write a report : "Discuss the ways in which Justice, blindness, pride and fate are major themes in Antigone, Medea, Hipploytus and Phedre and analyse the female figures' particular qualities in each play." (due on the Monday after the exams in my mailbox in the English Department office). Each student will prepare a final report (due on the Monday after the exams end), comparing the representation and roles of the women in "Agamemnon" and "The Coephoroi" by Aeschylus, "Antigone" and "Electra" by Sophocles and ""Medea" and "Electra" by Euripides.